When configured to use Icelandic keyboard, the key combination to make a @ (at-sign) is normally altgr+q. After installing Windows 10, that has stopped working. How can I fix this and get the altgr-q combo at-sign to work again? If everything else fails, I can create an autohotkey script, but I was really hoping to properly fix this. It seems like the upgrade to Windows 10 kept the Windows 8/8.1 Synaptic driver instead of replacing it with a newer version, this causing a problem with the AltGr key. To force the newer version to be installed, find in Device manager the Synaptic device, then delete it and reboot. The AltGr key should now work correctly. The pointing device driver seemed to be the problem in Lenovo Yoga 3 Pro as well. I did a rollback of the pointing device driver from Device Manager - now it uses the "Lenovo Pointing Device" driver from 2014 instead of the latest one installed by Windows 10 and AltGR is back! It worked for me : I uninstalled the Synaptic driver from the windows control panel and restarted. Alt Gr was back but gestures didn't work anymore on the trackpad. I downloaded the driver again from Sony's support website (here) and reinstalled it. I cannot test this, but it wouldn't surprise me if all you have to do is install the above driver and reboot. Not the answer you're looking for? Browse other questions tagged keyboard keyboard-shortcuts windows-10 lenovo-laptop or ask your own question. How do I stop Windows 10 from updating my graphics driver? 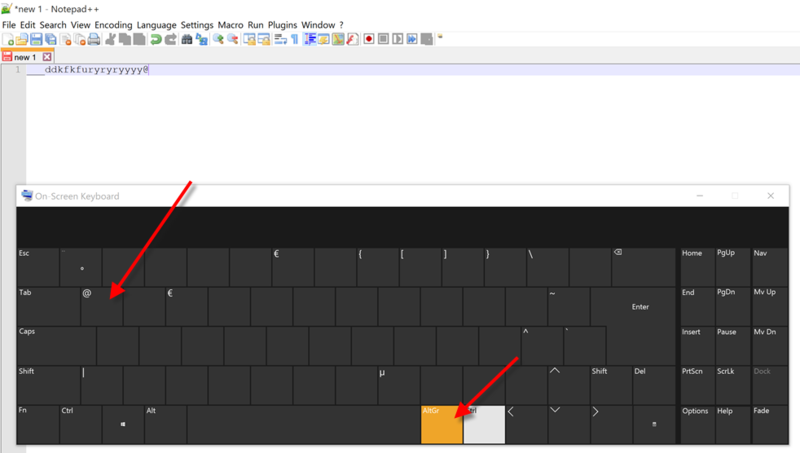 How to type braces on Danish Mac keyboard when RDP'ing into Windows ?